The death of a loved is devastating. When your loss is caused by another person’s negligence, the pain can be unbearable. At Sarrail, Castillo & Hall, LLP, we don’t add more pressure to the grief that you are already experiencing. Our dedicated and warm injury attorneys, led by James Sarrail and Jonathan Laresen, ease your burden. By allowing us to handle your wrongful death claim, you can concentrate on getting on with your life. We have more than 40 years’ experience in Burlingame as personal injury attorneys. We serve clients in Alameda County, San Francisco, Oakland, San Jose, Santa Clara and the whole Bay Area. Our talented team is trained to listen to your story to ensure that we get all the information we need to bring an appropriate and pragmatic claim. We won't force you to accept any situation that is not in your best long-term interest. We ensure that every rightful dependent who is eligible to make a claim is able to bring one. Years of acting on behalf of insurance companies has made us privy to all of their tricks to keep money out of your hands. We know how to successfully negotiate settlements or obtain judgments from the insurance companies that are fair and accurately account for the needs of surviving dependents. With no upfront fees, we will examine the details of your case and advise you on bringing a claim. Contact us online or call Sarrail, Castillo & Hall, LLP at 650-513-8899 to speak to one of our caring attorneys.  From our office in Burlingame, we serve clients across the whole San Francisco Bay Area. We regularly make home visits and are available to meet at your convenience outside of normal office hours.